Take an additional 5% Off today. Enter code MOUNT5 at the checkout! More on the Chief Raxxess Media Partitions For SDR Drawers CDP CSP DVDP below. 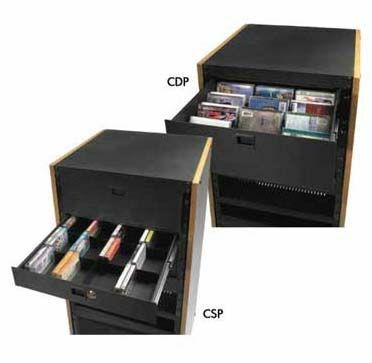 Chief Raxxess "Media Partitions" are designed for SDR-series drawers, allowing for easy, organized multimedia storage. The CSP holds 58 cassettes and fits all SDR drawer sizes. The CDP and DVDP hold 103 CDs or DVDs, respectively, and fit Chief Raxxess' SDR-4 drawers.